?This is a 2014 Chrysler Certified Pre-owned Chrysler 200 Limited sedan. It has a two owner, no accident history, and it was recently traded in by a man from the Mount Horeb area. It is nicely equipped with a six cylinder engine, heated front seats and a power driver's seat. This 200 is Certified Pre-owned, so you get powertrain warranty until March 6, 2021, or 100,000 miles, whichever is first. When you buy this, you also get a three month/3,000 mile comprehensive warranty, which covers over 5,000 items that might break, to give you peace of mind. Equipment includes the 3.6 liter 6 cylinder engine mated to a smooth shifting six speed automatic transmission. It also has a power driver's seat and heated front seats, remote start, power windows, power door locks, tilt steering, cruise control, power mirrors, remote keyless entry, an AM/FM CD radio with Sirius/XM satellite radio and Boston premium audio, alloy wheels and 17 inch tires, side airbags, stability control and more. If you want financing for this car, we have multiple banks and credit unions who can get you the term you want, and also get you low interest rates to help get you a low payment. We have lenders who will lend up to 75 months on this 200. This car has a smoke free interior for your breathing enjoyment. It has not been smoked in. This Chrysler is offered by New Glarus Motors, a Chrysler Dodge Jeep Ram dealer in New Glarus, Wisconsin. We will soon be known as Badger Chrysler Dodge Jeep Ram. We are a short drive from most parts of Madison. We welcome your trade-ins. More photos of this car can be found here: WWW.NEWGLARUSMOTORS.COM or www.badgerchryslerdodgejeepram.com We can be contacted at 608-527-5080, or after hours at 608-214-6129. Sale priced to only $12,665! At this sale price, with ZERO DOWN, payments for 60 months would be $259.29 at 5% apr, including tax, title, license, and dealer service fee. Other terms and interest rates are available based on your credit. A down payment or equity in a trade-in would lower your payment even more. Remainder of Ford's powertrain warranty! One Owner! Here is a YouTube video of this Fusion: https://www.youtube.com/edit?ar=2&o=U&video_id=w8HsRDenmUc This is a one owner, 2015 Ford Fusion SE sedan with an accident free history and a clean title. This Fusion should return 32-33 mpg on the highway, and it is a very comfortable and roomy midsize sedan. It has been inspected and readied for the next owner. Equipment includes the economical 2.5 liter four cylinder engine mated to a smooth shifting automatic transmission. It also has a backup camera, a power driver's seat, power windows, tilt steering, cruise control, power door locks, power mirrors, remote keyless entry, an AM/FM CD radio with the Sirius/XM option, dual lighted vanity mirrors, a keyless door touchpad, the original owners manual, stability control, 17 inch tires and alloy wheels, side airbags, and more. This Ford has remaining powertrain warranty until April 5, 2020, or 60,000 miles, whichever comes first. If you want financing for this Ford, we have many banks and credit unions who can get you the term you want, and also get you low interest rates to help get you a low payment. This car has a smoke free interior for your breathing enjoyment. This Fusion is offered by New Glarus Motors, a Chrysler Dodge Jeep Ram dealer in New Glarus, Wisconsin. We are a short half hour drive from most parts of Madison. We welcome your trade-ins. More photos can be found here: www.badgerchryslerdodgejeepram.com We can be contacted at 608-527-5080, or after hours at 608-214-6129. HERE IS A YOUTUBE VIDEO OF THIS ESCAPE: https://www.youtube.com/edit?ar=2&o=U&video_id=FFIkjhY2upI Sale priced to only $14,985! This is a nice one owner 2016 Ford Escape SE 4x4. It is in good shape, is decently equipped, and shows a clean Carfax report. With zero down payment, and including tax, title, license, and dealer service fee, your payment would be $314.59 monthly for 60 months at 4.99%, and $272.34 monthly for 72 months at 5.49%, on approved credit. Some people may qualify for even lower interest rates through our lenders. Equipment includes the fuel efficient 1.6 liter four cylinder engine mated to a smooth shifting automatic transmission. It also has power windows, power door locks, tilt steering, cruise control, power mirrors, remote keyless entry, an AM/FM CD radio with Sync Bluetooth, Sirius/XM satellite radio, a power driver's seat, the owner's manual, side airbags, a backup camera, automatic headlights, alloy wheels and 17 inch tires, fog lights, stability control, air conditioning, keyless door entry, and blind spot mirrors. This Escape is rated at 29 mpg on the highway. Brand new, it had a MSRP of $27,850. If you want financing for this car, we have multiple banks and credit unions who can get you the term you want, and also get you low interest rates to help get you a low payment. This car has a smoke free interior for your breathing enjoyment. This Escape is offered by New Glarus Motors, a Chrysler Dodge Jeep Ram dealer in New Glarus, Wisconsin. We are a short half hour drive from most parts of Madison. We welcome your trade-ins. We have a no pressure sales environment. More photos of this Ford can be found here: WWW.NEWGLARUSMOTORS.COM Questions? Please call us at 608-527-5080, or after hours, please call THURSTON HANSON on his cell at 608-214-6129. HERE IS A YOUTUBE VIDEO OF THIS EQUINOX: https://www.youtube.com/edit?o=U&ar=2&video_id=e4qlDjsNqXQ Sale priced to only $18,875! This is a nice 2016 All Wheel Drive Chevy Equinox LT with a moonroof, navigation, a backup camera, and more. It has a one owner history, and a clean, no accident Carfax report. It has remaining factory powertrain warranty until Feb. 28, 2021, or 60,000 miles, whichever is first. Equipment includes full power options, a 7" touchscreen radio with Bluetooth and Pioneer audio, side air bags, stability control, dual front heated seats and a power driver's seat, automatic headlights, the owner's manual, onstar, P225/65 R17 tires and alloy wheels, a roof rack, fog lights, and more. If you want financing for this SUV, we have multiple banks and credit unions who can get you the term you want, and also get you low interest rates to help get you a low payment. This SUV has a smoke free interior for your breathing enjoyment. This Equinox is offered by New Glarus Motors, a Chrysler Dodge Jeep Ram dealer in New Glarus, Wisconsin. We are a short half hour drive from most parts of Madison. We welcome your trade-ins. We have a no pressure sales environment. More photos of this Chevy can be found here: www.badgerchryslerdodgejeepram.com Questions? Please call us at 608-527-5080 or after hours at 608-214-6129. Here is a YouTube video of this Rav4: https://www.youtube.com/edit?ar=2&o=U&video_id=5daqZCxZLB0 This is a one owner, low mileage, 2015 Toyota Rav4 LE all wheel drive. It was a lease return, and most of us know that these are desirable vehicles. This Rav4 has been inspected and readied for its second owner. Equipment includes the 2.5 liter four cylinder engine mated to a six speed automatic transmission. It has power windows, power door locks, tilt steering, cruise control, RKE, a radio with a CD player and backup camera, Bluetooth, side airbags, 17 inch tires, stability control, a spare tire, a rear wiper and defogger, and more. This Rav4 has remaining powertrain warranty until Dec 18, 2020, or 60,000 miles, whichever comes first. This Rav4 has a 5 star overall safety rating, and is rated for 29 mpg on the highway. In addition, you have Toyota's famous reliability and endurance. If you want financing for this Rav4, we have multiple banks and credit unions who can get you the term you want, and also get you low interest rates to help get you a low payment. We have lenders who will lend up to 75 months on this vehicle with your good credit. This Toyota has a smoke free interior for your breathing enjoyment. This SUV is offered by New Glarus Motors, a Chrysler Dodge Jeep Ram dealer in New Glarus, Wisconsin. We are a short drive from most parts of Madison. We welcome your trade-ins. More photos of this Toyota can be found here: www.badgercdjr.com Questions? Like to schedule an appointment for a test drive? Please call us at 608-527-5080, or after hours at 608-214-6129. Sale priced to only $19,286! HERE IS A YOUTUBE VIDEO OF THIS ENCORE: https://www.youtube.com/edit?ar=2&o=U&video_id=_C0n7fndgU4 If this link does not work for you, go to YouTube and put in the keywords "Buick Encore New Glarus" What a nice find here: This is a 2018 Buick Encore Preferred with just over 6,000 miles, and a one owner, clean Carfax history. It was recently traded in to us for a larger SUV, and the good thing for you is that this one will save you lots of money over a new one, and it still has a vast majority of its factory warranty left! This Encore is front wheel drive with stability control, and it has a very peppy 1.4 liter 4 cylinder engine mated to a smooth shifting automatic transmission. It also has power windows, power door locks, a tilt and telescoping steering wheel, cruise control, power mirrors, remote keyless entry, a 7 inch AM/FM radio, Sirius/XM satellite radio, Onstar, a backup camera, alloy wheels and 18 inch tires, side airbags, a power driver's seat, a spare tire, Bluetooth, automatic headlights, and more. The remaining comprehensive warranty on this Buick goes until June 19, 2022, or 50,000 miles, whichever is first. You also have remaining factory powertrain warranty until June 19, 2024, or 70,000 miles, whichever comes first. If you want financing for this Encore, we have multiple banks and credit unions that can get you the term you want, and also get you low interest rates to help get you a low payment. We have lenders who will lend up to 75 months on this Buick. This SUV has a smoke free interior for your breathing enjoyment. It has not been smoked in. This Buick is offered by New Glarus Motors, a Chrysler Dodge Jeep Ram dealer in New Glarus, Wisconsin. We will soon be known as Badger Chrysler Dodge Jeep Ram. We are a short drive from most parts of Madison. We welcome your trade-ins. More photos of this Buick can be found here: WWW.NEWGLARUSMOTORS.COM or www.badgerchryslerdodgejeepram.com We can be contacted at 608-527-5080, or after hours at 608-214-6129. One owner, no accidents. Clean Carfax. Low miles and nicely equipped. Jeep Certified Pre-owned with plenty of factory warranty remaining. This front wheel drive Compass has the remainder of its comprehensive warranty, good until February 21, 2021, or 39,000 miles, whichever comes first. Since it is certified, it now has powertrain warranty until November 21 2024, or 100,000 miles, whichever comes first. Equipment includes the strong and efficient 2.4 liter 4 cylinder engine attached to a smooth shifting 6 speed automatic transmission. It also has power windows, power door locks, tilt, cruise control, power mirrors, a 7 inch touchscreen radio, Apple Carplay and Android Auto, 17 inch alloy wheels, side airbags, Bluetooth, stability control, a backup camera, automatic headlights, and more. Optional equipment on this Jeep includes the Safety and Security group, with rear park assist, blind spot monitoring, rear cross path detection, rain sensitive wipers, and a security alarm. It also has the popular equipment group with a power driver's seat, the 7 inch radio, and remote start, and a dual pane panoramic moonroof and a power liftgate. Brand new, the MSRP was $29,270. If you would like financing for this Compass, we have multiple lenders who will finance this car up to 75 months at a great low interest rate with your good credit. This SUV has a smoke free interior for you breathing enjoyment. It has never been smoked in. This Jeep is offered by New Glarus Motors, a Chrysler Dodge Jeep Ram dealer in New Glarus, Wisconsin. 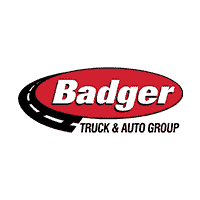 We are soon going to be Badger Chrysler Dodge Jeep Ram. We welcome your trade-ins. We have a no pressure sales environment. More photos of this vehicle can be found here: www.newglarusmotors.com or at www.badgerchryslerdodgejeepram.com. We can be contacted at 608-527-5080, or after hours at 608-214-6129. HERE IS A YOUTUBE VIDEO OF THIS COMPASS: https://www.youtube.com/edit?ar=2&o=U&video_id=5DAA7iHeXJ4 This is a one owner 2018 Jeep Compass Limited 4x4 with a one owner, clean Carfax, no accident history. It comes well equipped, with the Safety and Security package, navigation, and more. It is Jeep Certified Pre-owned, so it has remaining comprehensive warranty until Nov 27, 2020, or 39,000 miles, and powertrain warranty until August 27, 2024, or 100,000 miles, whichever comes first. Equipment includes the 2.4 liter engine with its smooth shifting automatic transmission, full power equipment including a power driver's seat, remote start, Selec-terrain four wheel drive, an 8.4 inch touchscreen radio with Bluetooth and Sirius/XM satellite radio, Apple Carplay, Android Auto, a backup camera, stability control, a heated steering wheel, heated front seats, 18 inch alloy wheels and tires, automatic headlights, blind spot monitoring, rear cross path detection, a spare tire, and more. This Jeep is offered by New Glarus Motors, soon to be Badger Chrysler Dodge Jeep Ram, at 1401 2nd Street, in New Glarus, Wisconsin. This Compass has a smoke free interior for your breathing enjoyment. We welcome your trade-ins. We offer financing for those who need or want it. We work with many different banks and credit unions to give you the best rates and terms available. More photos of this are on our website at www.badgercdjr.com. If you have questions, please call us at 608-527-5080, or after hours at 608-214-6129. Technology group. Luxury group. Tow group. Dual pane panoramic moonroof. Sale priced to only $29,990! Here is a YouTube video of this Jeep: https://www.youtube.com/edit?video_referrer=watch&video_id=LWKBlq-yOAM This is a very nice 2017 Jeep Wrangler Sahara purchased new from us. It was a dealer demo for our general manager, and has a clean title and a no accident history. It is nicely equipped, and is Jeep Certified Pre-owned, so it comes with added warranty. Equipment includes the 3.6 liter six cylinder engine mated to a smooth shifting automatic transmission. It also has power windows, power door locks, tilt steering, cruise control, remote keyless entry, an AM/FM CD radio with the Sirius/XM satellite option, Bluetooth, slush mats, air conditioning with automatic temperature control, a black 3 piece hard top with a rear window defogger, 18 inch alloy wheels, tubular side steps, automatic headlights, a rear seat, skid plates, and more. The remaining comprehensive warranty goes until August 2, 2021, or 39,000 miles, and because this Jeep is Certified, the remaining powertrain warranty goes until May 2, 2025, or 100,000 miles, whichever is first. If you want financing for this Wrangler, we have multiple lenders who compete with each other to get you the most competitive interest rate and term. This Jeep is offered by New Glarus Motors, a Chrysler Dodge Jeep Ram dealer in New Glarus, Wisconsin. We are a short drive from most parts of Madison. We welcome your trade-ins. We have a no pressure sales environment. More photos of this are here: www.badgerchryslerdodgejeepram.com We can be contacted at 608-527-5080, or after hours at 608-214-6129.